To The Middle Is It Really? “Do you hear what I hear?” Most of the time, most of us would have to say we do not. This is a major road block to communication, healing and healthy change. Our egos and ears are best buddies. They look out for one another. The ego tells the ears what to listen for and the ears tell the ego what it wants to hear. It is a closed loop system that leaves not room for healing. 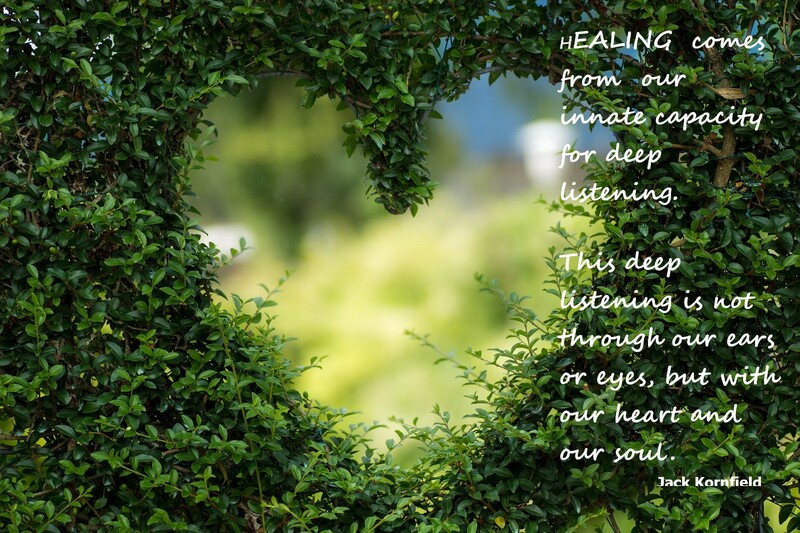 We are asked today to listen with an open heart and soul…without judgment. -Listen and hear with an open heart and soul. -Getting together with my women’s circle. -A wonderful reikki treatment from Kathy.